The recent swearing in ceremony of seven judges who were elevated to the bench of the High Court of Kerala was unique and arrestive. The judges who took oath from the Honourable Chief Justice Ashok Bhushan are Justice Sunil Thomas, Justice B.Sudheendra Kumar, Justice K.P.Jyotheendranath and Justice Mary Joseph from the State subordinate judiciary and Justice Shaji P.Chaly, Justice Anu Sivaraman and Justice Raja Vijayaraghavan from among lawyers of the High Court. It is for the first time that seven judges took oath on the same day. It is for the first time that the bench strength of 38 judges in the High Court of Kerala was attained . It is for the first time that two women judges were administered the oath together. 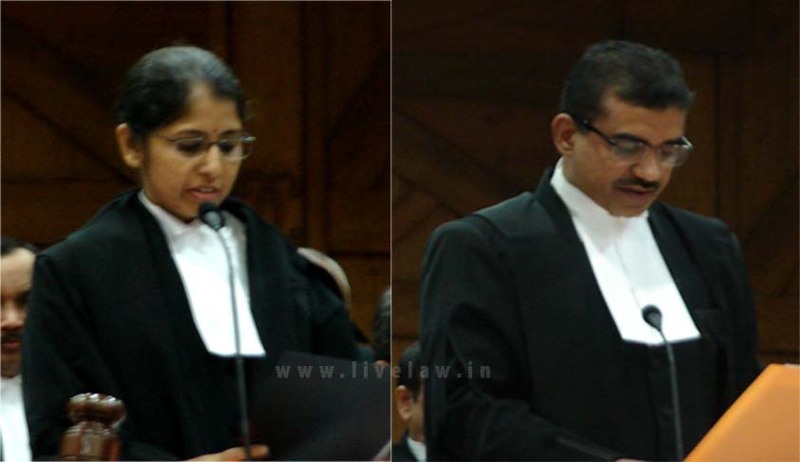 It is for the first time the two former Registrar’s of the honourable Supreme Court of India were elevated as judges. Justice Sunil Thomas and Justice B.Sudheendra Kumar had tenures as Registrar of honourable Supreme Court of India. But these unique aspects were shelved into the penumbral shadows by the surprising fact that one among them was a journalist and another, a civil engineer. Justice Anu Sivaraman who is the daughter of late V.Sivaraman Nair (Retired Judge of High Court of Kerala) is a Post Graduate Diploma holder in Journalism from the Kerala Press Academy, Kakkanad in 1986-87 batch. Then she deviated from journalism and followed the footprints of her father who was also known as junior of none other than the legendary Justice V.R.Krishna Iyer. Justice Krishna Iyer was known for his enthusiasm to become a journalist and he had opted English Literature for Degree. But the persuasion from his father who was a successful lawyer drew him to law. This background as well as her journalism skills may add the needed flavour in the judgments of Justice Anu Sivaraman which we hope to be realistic as well as revolutionary. The first female black judge in South Africa, Judge Thokozile Masipa was a journalist and she became famous through her verdict in the “Oscar Pistorius (Olympic athlete & Blade Runner) murder trial”. She was credited as being a good listener and a dispassionate analyst of facts. The passion for journalism will infuse these qualities in Justice Anu Sivaraman while in bench. Justice Raja Vijayaraghavan holds a B.Tech Degree in Civil Engineering from T.K.M College of Engineering, Kollam in the 1985-89 batch. His father Adv P.Vijayaraghavan is a well known senior advocate of Kollam Bar. Adv P.Vijayaraghavan is known for specializing in criminal as well as civil law and is one of the most famous lawyers conducting trial of Sessions cases. His juniors are now famous lawyers and include Justice B. Kemal Pasha. After the completion of Engineering Course by his son, Adv P.Vijayaraghavan had a rethinking and advised his son to follow him into the legal profession. Justice Raja Vijayaraghavan accepted the advice and soon joined Kerala Law Academy Law College and got enrolled as an Advocate during 1994. After practicing as junior to his father he started his practice at High Court as junior to Adv K.P.Dandapani. Due to the sad demise of his mother, practice was again shifted to Kollam. But destiny had decided his fate and Senior Adv M.N.Sukumaran Nair invited Raja to his office at Ernakulam where he continued practice. A googling on “Engineer turned Judge” reveals only one of such kind. It is Judge James Finley (1756-1828) who is widely recognized as the first designer and builder of the modern suspension bridge. From 1791 until his death, he was an Associate Judge for Fayette County in Pennsylvania. Let Justice Raja Vijayaraghavan be recognized in the near future with some firsts in delivering historic judgments for the modern society.